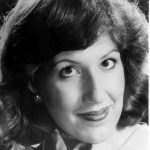 Mezzo-soprano Erma Mellinger has been a principal artist with many opera companies across the United States including the Cleveland Opera, the Florida Grand Opera, the Dallas Opera, the Sarasota Opera, the Chautauqua Opera, the Pittsburgh Opera Theater, the Fresno International Grand Opera, Opera North, Opera Maine and the Shreveport Opera. Her roles, in over thirty operas, include Donna Elvira in DON GIOVANNI, Dorabella in COSI FAN TUTTE, Cherubino in LE NOZZE DI FIGARO, Ottavia in L’INCORONAZIONE DI POPPEA, Preziosilla in LA FORZA DEL DESTINO Nicklausse in LES CONTES D’HOFFMANN, Idamante in IDOMENEO, Princce Orlofsky in DER FLEDERMAUS, Prince Charming in CENDRILLON and Martha in FAUST. Hailed for her, “rich, vibrant, creamy voice,” Ms. Mellinger is also at home on the concert and recital stages. She has appeared as soloist with many major orchestras including the Monterey Symphony, the Rochester Philharmonic Orchestra, the Vermont Symphony Orchestra, the Fort Wayne Philharmonic, the Florida Symphony Orchestra, the Westfield Symphony and the New Hampshire Philharmonic Orchestra. Ms. Mellinger was the soloist with the Handel Society of Dartmouth College on its recent tours of England, France, Germany and Italy performing at Notre Dame in Paris, St. Paul’s in London and St. Peter’s Basilica in Rome. Ms. Mellinger graduated with Highest Distinction from Northwestern University’s School of Music, receiving her Bachelor of Music Degree in Vocal Performance. She earned her Master of Music Degree from the Eastman School of Music where she also received the Performer’s Certificate, the Opera Certificate and an Excellence in Teaching Award. Ms. Mellinger is a Senior Lecturer in Music at Dartmouth College where she has taught since 1996. In addition, she is the Vocal Coach of the Handel Society, and participates in chamber music and solo recitals on campus.